Council Tax and Moving House: Everything You Need To Know! If you will soon be moving house, then you know you have a whole heap of planning to do. There’s the packing, looking for moving companies and let’s not forget the various bits of admin you’ll have to perform. One of the most important things to do is inform the relevant people and organisations of your change of address. And the top of that to-do list is to notify the Local Authority so you can register for Council tax. Whether you rent or own your property, you need to pay council tax, So here Compare My Move explain all you need to know about moving house and Council Tax. Council tax is a tax on residential property that your local council uses to pay for services such as schools, rubbish collection, roads, policing, fire services, park maintenance and street lighting. Council Tax came into effect in 1993, replacing the unpopular Poll Tax, and is based on the market value of your home. Whether you rent or own a home, the vast majority of people over 18 living in Britain will have to pay Council Tax. It's important to be fully informed on the costs involved, so you should always factor in Council Tax when figuring out the cost of moving house. Council Tax is calculated from the value of your home using valuation bands. There are 8 valuation bands in England and Scotland, ranging from from A (the highest) to H. There are 9 valuation bands in Wales, ranging from A (the Highest), to I. The valuation bands are based on the price the property would have sold for on 1st April 1991 for England and Scotland, and 1st April 2003 for Wales. The amount of council tax that you need to pay is decided by your local authority. Their decision will be based on the amount they need to raise and on where your property sits in the valuation band. To calculate what you should be be paying in Council Tax, you'll first need to work out the backwards value of your home using a tool found here. Next, simply find the specific Band costs on your Local Authority's website to figure out what you will be paying each month. All homes are banded with the same guidelines and criteria. This means that even homes bought under discount schemes such as ‘Right to Buy’ will be banded on the same basis, so any discount on the property will not be considered when setting the band. How Much is Council Tax on Average? In 2018-19 the cost of Council Tax for the average home owner is £1,486 in England, £1,492 in Wales, and £1,208 in Scotland. The average homeowner can expect to pay monthly Council Tax costs of £167.10 in England, £149.20 in Wales, and £120.80 in Scotland. This is just a guidance amount, as remember that Council Tax charges will vary across every local authority and each band. We used the most up-to-date house prices across Britain to work out the average Council Tax band in each country, found below. *Monthly cost based on default option of paying 10 monthly instalments between April and January. Council tax bands in England are based on property value relative to the amount the property would have sold for in 1991 prices. Even new properties are banded through a valuation of what it would be sold for in 1991. Council Tax Bands in Wales are based on 2003 property values, after the National Assembly reset the bands in 2005. At the same time, the Welsh Government also added an extra I Band. Much like in England, all Council tax bands in Scotland are based on house prices as valued in 1991, though as a devolved issue the bands do differ in bracket and cost. What Happens When You Move House? When you leave your current address, the local council will send you a final bill which will be taken as a monthly payment. Then you’ll get an annual bill for the property at your new address. If you’re staying in the area and will be paying the same local authority then you can use the same direct debit arrangement. If you are moving to a new area then you’ll need to set up a new account. If you own your current home and it’s empty when you leave, you still have to pay a (reduced rate) council tax on it. If you are currently renting and leaving that home, you are no longer responsible for the council tax there. It’s good to be clued up on these things so you don’t pay something you shouldn’t or neglect to pay something you should. You will need to inform the Local Authority of where you are moving from and where you are moving to around a month before you move. You will find a ‘change of address’ page on your Local Authority’s website. You’ll need to include the forwarding addresses for every adult in the property that pays council tax. You’ll get a final bill usually within the month following your moving date, and can apply for a refund if you’re in credit from your local authority. You’ll need to plan this in with plenty of time, as you don’t want to find yourself paying unnecessary tax for a home you aren’t living in anymore. As with all things, ensuring this administration is taken care of ahead of time will save you from headache. Your council tax responsibilities start promptly from the day that you move into your new address. If you’ve move within the same local authority, your direct debit can continue at your new address, so expect to pay at the same time as at your previous address. Don’t wait for the ‘new occupier’ letter to come through the door after you have moved. You might think that if you wait a little while, you may be able to delay having to make extra payments during what will surely be a very busy time financially. But the council will backdate so you are just delaying the inevitable. Council Tax is something that the vast majority of homeowners and renters in Britain have to pay. However, there are some circumstances in which a property or person is exempt from paying Council Tax. Full time students, those part of an apprentice scheme, and residents under 18 years of age do not have to pay Council Tax for example. Plus, if you're moving into Armed Forces accommodation then you won't have to pay Council Tax, and there are also exceptions for homes having extensive work or when a home is unoccupied following the death of the owner. You'll also be able to get a 25% reduction if you live alone or are the only adult in a property, and up to 50% off if the property is empty, a second home, or a holiday home. Council Tax costs are also means tested for disabled residents, which can mean a discount. Find out more about exemptions on your Local Authority's website. It’s safe to say that the process of evaluating the homes in 1991 was rushed, and it’s even possible that up to 400,000 homes in England and Scotland could be in the wrong council tax band. If you're unsure, you could be paying too much in your new home. If you believe your property is in the wrong Council Tax band on account of a recent valuation, you can challenge it. The Valuation Office Agency (VOA) will assess a property during a council tax challenge or a review, and will usually provide a decision within two months. You'll need to access your property's Band on the Council Tax Valuation list if you're in England or Wales, or through the Scotland Assessor Association website. You'll need to include addresses of similar properties in the same neighbourhood, town, or village with lower Bands, and will need to include evidence about the price and dates of sale. We hope this guide has answered all the questions you could possibly have about Council Tax and moving house. If you need more information on the house moving process, check out our house removal tips. 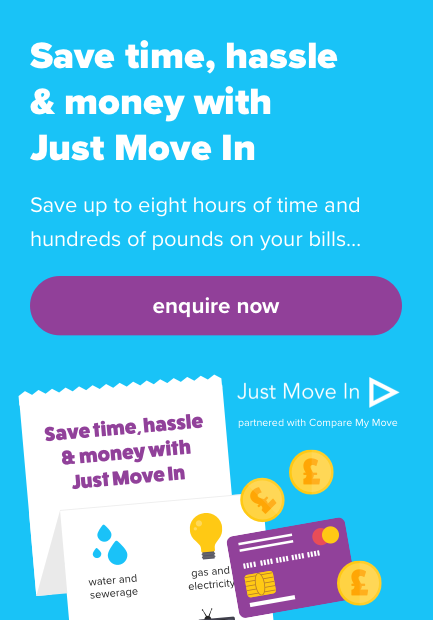 When the time comes to move house, remember to use Compare My Move to save up to 70% on your house removal costs. Fill in a quick and easy form, and we'll connect you with up to 6 professional removal companies in your area, to save you time and money when it matters most. Our removal partners come fully verified by us and reviewed by you, so you know you'll be in the safest possible hands in moving day.